Privatedetective.co.uk is the leading agency of private investigators operating in the UK today. Headed by Peter Taylor, one of Britain's longest serving private detectives, our team has over four decades of invaluable experience. Knowledgeable in all areas of investigation, our team will work with you every step of the way. Nobody wants to hire a private detective – but sometimes there’s no alternative. Life presents problems that can require help: discreet, professional, expert help. A private detective can cut through all the complexities of your situation and help you find a straightforward, sensitive solution. Expertise in detection comes from experience – and at PrivateDetective.co.uk we have unrivaled expertise. Our Principal, Peter Taylor, has spent more than 40 YEARS bringing cases to successful conclusions. His team of private detectives are hand-picked to provide a balance of skills and expertise that will deliver the speediest and most effective results. Whether you’re trying to resolve a family situation by tracing relatives or somebody you love is facing prosecution and needs effective criminal defence investigation, our expert detectives have the ability to help. Private detectives act for their clients, just as lawyers or doctors do. As is stated in the Ministry of Justice Criminal Cases Review Commission Annual Report for 2012/2013, ‘Miscarriages [of justice] occur because lawyers make often quite basic mistakes.’ Everybody makes mistakes as some time or other, and a private detective’s task is investigate the mistake and rectify it, or to spot a mistake before it’s made, and prevent it. So whether you hire us to conduct corporate investigations to discover if your business is being defrauded, or need to find out whether your life-partner is cheating via a sensitive matrimonial investigation, we operate in the same way. Based on our values of integrity, professionalism, and sensitivity, we act for our clientele: solving their difficulties, preventing costly problems and delivering solutions in difficult circumstances. We commit to being tactful and supportive, but when it comes to investigation, we’re ruthless and demanding – we keep going until we’ve got the facts for our clients. Knowing you need help is the first step. Finding an effective, confidential and professional private detective to help you is the second. What do Private Detectives Do? As a nationwide private detective agency, we’re always aware of the ideas that people have about what private investigators do. Sometimes these ideas are spot on, and sometimes they are notions picked up from TV and books. The reality of what private detectives do is somewhere between those two extremes. Professional private detectives divide their time between their case load and continuing professional development. In the case of investigators in our team at privatedetective.co.uk this means that we reinforce the specialist background and training of our private detectives with regular updates about changes to the law, new investigative techniques, and briefings on key areas from other members of the team. So, for example, our GPS tracking specialists will demonstrate the role of vehicle tracking in a range of circumstances so that other private investigators working with us across the UK and internationally can call upon their expertise to assist in their own cases. GPS tracking is especially effective in large cities and our private detectives London employ this surveillance technique on a daily basis. A daily case load for our private investigators contains a balance of actual investigative work and reporting. Investigative work might mean conducting surveillance or counter-surveillance in the field, working through online searches and specialist databases to track down a debtor to examine the background of a company or organisation, or interviewing witnesses to a crime or speaking to individuals to build a solid evidence base in a criminal defense case. Reporting is crucial to what we do – our clients are our key consideration and we know that what marks us out from other private detective agencies is the care we take to update our clients quickly, comprehensively and discreetly, so that they are kept abreast of our investigations and fully understand what we are doing to help them resolve their difficulty, whether that is tracing a missing person or finding out if a business competitor is stealing trade secrets. Our liaison staff commit to working with our clients so that a relationship builds up between them and their designated liaison, which allows us to keep in touch effectively and without there being any risk of a breach of confidentiality. What we find out is for our client’s eyes only. Where family law or criminal proceedings are concerned, it’s vital that we provide unimpeachable written reports backed up with substantial field evidence and we have an enviable track record in relation to our work with legal teams. 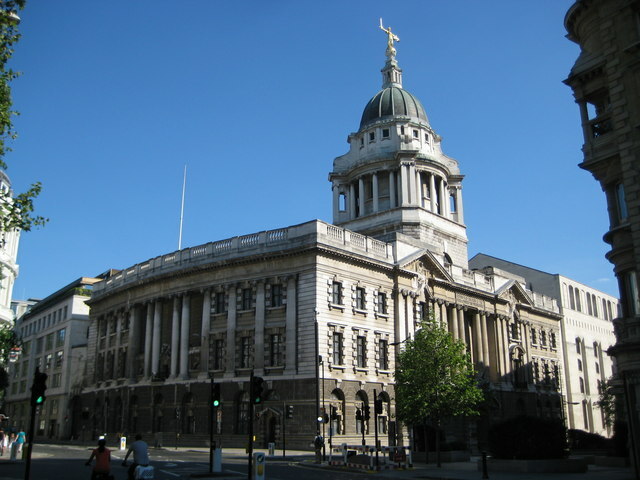 Established in 1970, our London detectives have worked on numerous criminal proceedings in the capital and have collected information which has been presented in proceedings in courts such as the Old Bailey. Our experience in this type of investigations is second to none. Increasingly, corporate investigation has become an area of litigation and this takes place in the UK business capital London where the majority of large corporate businesses are located. From senior managers defrauding companies through to copyright infringement, we work with legal specialists to help our corporate clients maintain and grow their businesses without fear. Trust us to help you find the right way out of your difficulties. From our offices in major UK cities, we can help find the right solution for you. Whether you are looking for private detectives in London, private detectives in Manchester, private detectives in Birmingham or wherever you are in the UK – call us today to talk about moving from problem to solution, with our expert assistance.